When does Elijah come in relation to end time events? What year could that be? How do we recognize him before accepting his command to move to Israel? Also is Israel today really biblical Israel and how will we deal with the Ministry of the Interior's history of rejecting believers or anyone not Jewish from immigrating? Hello Tim, Will Elijah come at the beginning of sorrows, at the beginning of the great tribulation, when? Some say it will be during feast of Pentecost? Why and when please? Elijah's coming is always an interesting topic! I already have my full length article on the three Elijahs in prophecy if you missed it. But there is more I can write that I have not shared in one place that this question gives me an opportunity to address. I have never heard of Elijah coming on Pentecost, but perhaps you mean Passover. At the Jewish celebration of Passover, it's traditional for them to set a place at the table for Elijah. There may be some truth to this tradition when you consider that Elijah is probably one of the Two Witnesses and their ministry does begin in the same month as Passover, the first month of the Biblical year (Nissan-Aviv/March-April). However, we can connect Elijah to another ministry before that! Because Joel and Malachi are the only places in the Bible using the same phrase, "before the great and dreadful day of the LORD" this connects them to the careful reader. Malachi 4:5-6 — 5 "Behold, I am going to send you Elijah the prophet before the coming of the great and terrible day of the LORD. 6 "He will restore the hearts of the fathers to their children and the hearts of the children to their fathers, so that I will not come and smite the land with a curse." Joel 2:31-32 — 31 "The sun will be turned into darkness And the moon into blood Before the great and awesome day of the LORD comes. 32"And it will come about that whoever calls on the name of the LORD Will be delivered; For on Mount Zion and in Jerusalem There will be those who escape, As the LORD has said, Even among the survivors whom the LORD calls. As you can see, Malachi 4:5-6 speaks of Elijah's "heart restoration" repentance mission in the end time (and also by extension his intermediate fulfillment in John the Baptist, Elijah #2). Joel 2:31-32 speaks of faithful people "called" to gathered to Judea to survive Wormwood (cause of the mentioned lunar and solar eclipses). When God "calls" people to gather, he uses a human prophet as he did with Moses for the exodus. Because the passage about the end time Elijah is linked to the passage about the call to safety in Judea from Wormwood through a distinct common phrase occurring nowhere else in the Bible, God is cluing us in that Elijah is the one who calls people to Judea for safety from the beginning of sorrows. See my article on how you will get to safety yourself. How To Recognize Elijah and Not Miss Him? One question not asked here but comes up a lot when talking about Elijah is how to make sure you don't miss him. What I try to emphasize with people concerned about this is that there will be no way to miss it! I say that because Matthew 24:14 says the good news of the kingdom message of repentance that John the Baptist (Mt 3:2) and Jesus (Mt 4:19) preached will come again, this time to the whole world (Mt 24:14). Remember, Christianity is not already preaching this gospel of kingdom repentance, and never has. According to Jeremiah (Jer 51:46) there is a period of two years of rumors in the land before WWIII/the Fall of America which is part of the beginning of sorrows. I think these rumors are Elijah telling people to flee to Jerusalem/Judea area (Jer 51:50) just as Joel does (Joel 2:32). This means that Elijah comes two years before the beginning of sorrows, to answer the question posed at last. This makes sense because people will need a good amount time to receive and process Elijah's warning to move. Because it is a big scary move, everyone will want to verify if he person commanding it is really God's prophet and speaking right. I'm sure he'll do either predictions and miracles or signs that will help take care of that. Also his clear inspired words from God will be something people can verify in their own Bible. When will that be? No one knows. When could it be? Elijah's ministry cannot commence until the early 2020s at the earliest. This is based on the next window for the 70th week being 2024-2030 as discussed in my book. It may go longer but it won't be sooner. It's great to get all that out in one place for others. "Is the State of Israel the Biblical Israel?" "The nation of Israel we see today, is it the one that the Bible is talking about? is the government of Israel today legitimate according to prophecy: seeing that they reject Jesus, and [reject people for permanent residency who profess Christ and expel people who proselytize for Christ]"
It speaks of the time we live in of fake news and conspiracy theories that I even have to address the question: is Israel today really Jewish or not. I already did address this question in my recent article on the "blessing and cursing those who bless and curse Israel" article. As the article says, we can prove through Bible prophecy that Israel today is Judah (the Jews) and show the conspiracy theories as faulty, even based on Antisemitism. Let me clarify up front, Christianity is not rejected in Israel. It's just hindered from spread with restrictions against proselytizing. And Christians can visit the country easily. The problem comes when a Christian wants to move or immigrate to Israel. That is where the rabbinic dislike for Christianity manifests in discrimination that has kept many from living in Israel. How can they discriminate like this? Years ago I heard that the Ministry of the Interior (which controls immigration to Israel) is controlled by the rabbinate. The Orthodox Jewish political party runs it. They don't want a Christian country of course. Honestly, I don't what an "illegitimate government" is how it makes any difference. Is there a government that accepts or "rejects Jesus" officially? I thought that was for individuals to do, not governments. Whether they are a legitimate government or not, they are running things. Paul in Romans 13 said some heavy and hard to take things on submitting to all authorities, if that's what this question is alluding to: ignoring the laws there of an illegitimate authority. But there's no need to go that route because if God wants you to be in Israel, nobody will stop you. I know someone who was banned and expelled for a proselytizing infraction. Because travel to Israel was important to his ministry, he did not give up so easily. He "lost" his passport and got himself a new one. He then flew to the country some time later. Since it was a new passport, they asked him something like, "have you ever been to Israel before, such as under another passport?" Gulp...what should he answer? He didn't want to lie. He may have prayed immediately for guidance. At that very moment, the door opens up behind the lady questioning him. A person greets her and starts an brief conversation with her. After the man departs, she turns back and continues on as if she never asked the question or already got a "no" answer. He was cleared to enter Israel! And with the entry stamp in his passport, no one would ask him that question again. Yes he was legally already in Israel with no problem =). I know other people who have done fake conversions with a sympathetic closet-believer rabbi in New York to move there. The rabbi will do the paperwork for you saying you converted to Judaism. Then when they likely ask you if you still believe in Christ, you probably have to lie. Personally this sounds like "denying Christ" like Peter famously did three times. For me to go this route feels like kicking down the door that God can open for you later. Similarly, when the time comes for us all to be in Judea as Joel 2:32 says and Matthew 24:16 heavily implies, God will make our way. God must break down the current prohibitions and resistance in Israel against non-Jewish immigration. I believe the coming Psalm 83/Damascus destruction war and resulting great loss of life (even though Israel wins) will set this up. Perhaps they will accept us as aid workers. Perhaps they will realize with the impending Arab demographic majority problem in a democracy like Israel, they need to admit non-Muslims who want to live there (otherwise Muslims can take control of the government). Perhaps the economy will need help of immigrants, too. We can only speculate, but one way or another, God will fulfill prophecy that says we will all be able to move to Israel. Years ago, around the early 2000s, we had the same dream to live in Israel. Then God showed me what I wrote above, and I gave up that idea. We stayed in Costa Rica for 16 years, then to my surprise God called us to Germany. We're only a four hour flight away now, so I'm getting excited. We hope to visit again, but not move. As for when I plan to move, I tell everyone who asks it's the same answer for me as for them: when Elijah comes! It’s great to see you holding firm to the faith in Jesus Christ and His 2d coming! I’m encouraged and very impressed that you are dispensing biblical truths which really matter, in our sorrowful world that surrounds us all Christians! I am happy to recommend all of your books of prophesy to the regular Bible reader, as a very valuable aid in understanding prophesy that is developing under our eyes in the Middle East, in Europe and the USA. I encourage all Bible readers to order Tim’s prophesy books and really give them a good reading! You will never regret it for learning the true meaning of those biblical prophesies, which elude the superficial readers of the Bible. Tim really put his heart into his books. Hi Anthony, thank you for your kind words and all you do. Thank you for considering me worthy for the invitation to speak. I don’t know what I’ll be doing then or speaking is what I’m supposed to be focusing on now (much still write and record and build up the website and improve my family’s income for some big bills coming up). But I will consider and pray about it. Tim, thank you for another great article. Please forgive me, If I’m asking a question you already answered, I didn’t understand it. My question: Will the 144.000 Israelites be called by Elijah to make the move to Israel at the same time as the “Woman” group, in other words, will both groups be moving to Israel simultaneously? Or will there seperate calls/commands to move to each group at different times during the 2 year period before Beginning Of Sorrows? To illustrate the probability of a prosperous America at the time of her destruction; Here we are at 2017 having received “The Renaissance Man”, Trump . His business acumen and vision clearly puts America on a course of revitalization, growth and expanding commerce. A two term Businessman-President with any real success can easily fulfill a scenario of America with 100’s if not 1,000’s of ships moored offshore and lamenting at what they are witnessing, yes ? Incidentally, Trumps ” second term ” places America at that 2024 time slot. Very interesting times are ahead. Thanks Tim. Yes, Thomas, but America already had many ships coming and going to NYC enough to satisfy the prophecy under Obama. America is the powerhouse economy (and military) of the world regardless of who is president. America has fit the economic and military aspects of the prophecy since winning WWII. After this great influence was established to spread American culture, then the depravity in the culture also described in Rev 18 came to fulfill that. We’ve probably fit Rev 18 fully since the 1960s? Joe, I’m not saying it, the Bible is: Gen 15:6, a cornerstone passage quoted by Paul repeatedly in the NT about salvation by faith in God’s word. Paul also says in Romans 2:12-16 that Gentiles without any revelation at all (which includes revelation on Jesus) are saved by doing the right things and having a clear conscience. The Jews still need Christ’s sinless blood regardless of how they feel. All I’m saying is you don’t get the blood to cover you by knowing about it and accepting it which is not possible for most of human history. Not much has been said about black Africa; are we going to take part in moving to Israel? How will the hatred for blacks not work against them in the feature?. Adeola, there are many problems people can cite for people of all walks and colors to go to Israel. If God’s escape plan is to take us there (Joel 2:31-22), it’s a lousy plan if it does not address all of them, yes? Consider the exodus and how he overcame every problem to get them out. It will be the same this time. It is therefore farfetched for the Jews born from many different seeds (other than that of Judah, Benjamin and Levi) to claim the identity of Judah or even to be recognized as representatives of the descendants of (true Israel/Jacob seed) of old. 7 Neither, because they are the seed of Abraham (through Ismael or Esau), are they all children: but, In Isaac shall thy seed be called. 11. And it shall come to pass on that day, that the Lord will set His hand again the second time to recover the remnant of His people, that shall remain from Assyria, and from Egypt and from Pathros and from Kush and from Eklam and from Shinar and from Hamath and from the islands of the sea. 12. And he shall set up an ensign for the nations and will assemble the dispersed of Israel and gather together the scattered of Judah from the four corners of the Earth. The following facts are real and cannot be labelled as the “Israel vision or a false doctrine”. Blessed be the poor Israelites, as by their horrific tragedy, we might be saved. The World is saved because of their failure. Matt, I listened and missed any direct Scriptural evidence to tie Elijah to the white horseman. He mostly spent his time ruling out and mocking other theories that I already disagree with. I’m not surprised my theory didn’t sit well with you; it’s hard to hear that Christianity is what Jesus warned about coming to deceive many in his name by saying He is Christ (Mt 24:4=Rev 6:1-2). The video claim that the color white must always symbolize good is ludicrous. If someone wears white to deceive and the Bible warns they deceive, then the white does not symbolize good in that case; it’s literally showing us the color that evil put on to seem good. Also he assumes in a circular argument that Mt 24 warning of deception can’t be parallel to the seals because it says “the end is not yet but the seals are close to the end”; an assertion with no proof. Yes, as you can hear in his video, he’s good at rhetoric but he doesn’t attack the topic objectively in an evidence-based approach without emotion to find the truth. If you will just compare the seals to Mt 24 AND (importantly) Luke 21, the seals from seal 1 to seal 6 are paralleled. It’s all there as I touch on many articles. Bought your book many years ago. Been wanting to ask you this ever since. I am just curious if Elijah comes and we need to go back to Israel. 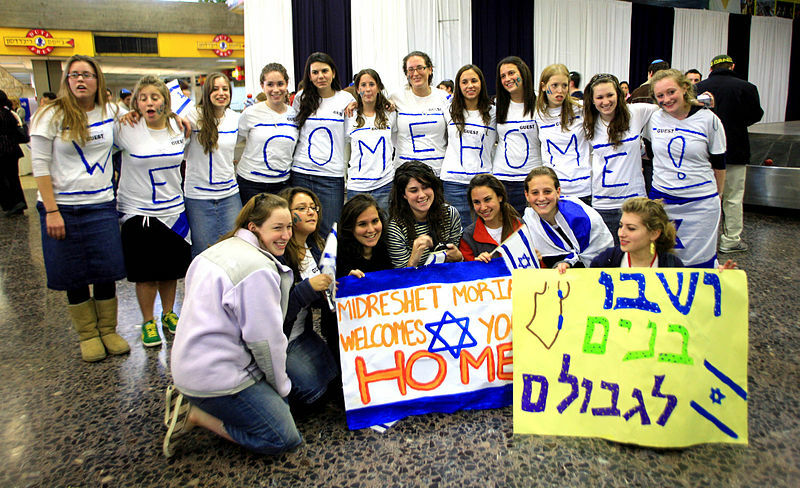 How can Israel take in so many of God’s people emigrating there? Overpopulation considering its such a small country. For me being in Malaysia (our passports prohibit us from going to Israel as a pilgrimage where our passports are not stamped) will be difficult for us to leave with our family. I know of my friend who Aliyah there via Amsterdam. Pray she has arrived there by now. So for me the safest place when the time comes is as long as we are walking with JESUS he will lead and protect us till we are rapture( there went my belief on pretribulation where we are taken before all bad things happen ). I know before He comes He will let us know as we walk closely with Him. He will lead us. Hi Christie, Thank you for your past support. Your question has a common wrong assumption that “God’s people” considered at least in the many millions today would be the same people who respond to the call and leave. See my article on all the many psychological barriers that will whittle those millions down to probably less than 2M. See my other article on how God will help those who are still willing after getting past all those mental issues.